The woman who was harassed for wearing a Puerto Rico T-shirt at a Chicago forest preserve last month says she’s outraged that the police officer who ignored her pleas for help could resign without punishment. 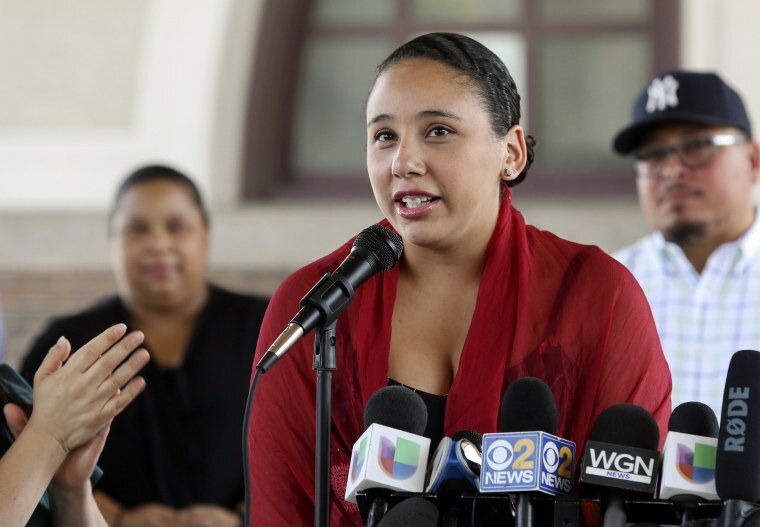 Mia Irizarry, who captured the June 14 incident at the at Chicago’s Caldwell Woods forest preserve in a 36-minute Facebook Live video, read a statement Friday condemning the inaction of officer Patrick Connor as she was berated. Connor resigned Wednesday as he was under investigation for his alleged inaction during the encounter. “I am severely disappointed I will never get to hear from this man, this officer, as to why my safety, no why my life, had so little value for him,” Irizarry, 24, said Friday. A friend said Tybrus is a Trump supporter who agrees with the president’s immigration policies, but is not a racist. John Bimmerle said Trybus has expressed regret over his actions, and has said he would apologize to Irizarry. “I have a problem with my tax dollars going to make sure he is comfortable with his retirement,” said Cristina Pacione-Zayas, co-chair of Puerto Rican Agenda for Chicago. During the ordeal, Irizarry is heard in the video saying, “Officer, I feel highly uncomfortable. Can you please grab him?” and the officer appears to turns away. Trybus was arrested and charged with disorderly conduct and assault. On Thursday he was charged with two felony counts of hate crime, Cook County State’s Attorney spokeswoman Tandra Simonton said. “This man will never be in a position to serve and protect a life, yet turn away again,” she said.